Technology has made such unbelievable advancements in the last few years that one is left overwhelmed. While technology has certainly played its part in making our lives easier, it is because of the prevalent use of technology that crime rate has escalated across the globe. Technology was supposed to facilitate areas like tracking the whereabouts of criminals and it does achieve it to some extent. However, in general, technology has done more to increase the crime than to solve it. Computers with internet are a staple in every single household and with the virtually endless list of internet providers offering the best deals at rock-bottom prices, mankind is at a higher risk than ever before. In present day and age, cell phones have easily transformed from a luxury into a necessity. Cell phones are not a revolutionary breakthrough; they have also facilitated the criminals by reducing the communication gap to a few seconds. Gone are the days when criminals needed a conference room. Now criminals plot and execute their plans with minimal hassle, thanks to all the convenience established by cell phones. Android phones are the most recent rage taking the world by storm. From remarkable apps to a brilliant interface, in a little time these exceptional gadgets have garnered a reputation that will not wane anytime soon. 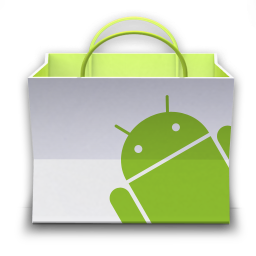 As the size of the Android marketplace continues to grow, consumers get the chance to enjoy more state-of-the-art apps. Android market has a seemingly endless list of apps when it comes to music. It comes as no surprise when you read in the newspaper about a hit and run where the victim was unable to hear the continuous honks because of earphones. It is an increasing trend throughout the world to have those earphones plugged in as soon as you step out of the door. They do help you to shut off all the menacing noise in your surroundings but there are times when one needs to be aware of the commotion around him to avoid any catastrophe. With all those fancy music accessories coupling android phones, individuals are not showing any inclination towards quitting this habit that has often resulted in grave injuries and sometimes even death. There have been cases where criminals hide in the dark and narrow alleys and pathways to mug people. In light of all such incidents, the circumstances necessitate the development of an app that help people to stay alert and alarm them about anything unusual in their surroundings. To cater to this need, android has introduced the spectacular app with the name Around Sound. For those who wish to enjoy their favorite songs while not losing track of any unusual sound in the surrounding, this app is indeed the most viable option. Taking convenience a step ahead, Around Sound stands a good chance of striking the chord with android users despite the availability of a plethora of music apps that are available today. We have all been in dangerous situation because of our habit of listening to music on the street. With around sound, one can reduce the risk significantly. This app brings to life the notion of letting your phone listen to your surrounding while all you do is enjoy music. Wondering how it works? It is quite simple. All you have to do is to install the app and it will use the headset microphone to intercept any noise in your surroundings. When the app feels there is something relevant you should listen to, it instantly stops the music. What further sweetens the deal is that this app will replay the sound that triggered it to pause the music. After it replays the sound, it can optionally replay the music for you. Around sound promises that you never fail to reply to someone who is trying to get your attention. It is an ideal app to use at home because you will never again miss hearing your child crying, a dog barking, a slamming door or any other alarming signs. This app has a simple interface and with all the features that this app has to offer, it is certainly going to be the best thing that will happen to an android user. The above article is composed and edited by Shannen Doherty. She is a technical content writer. She is associated with many technology communities including Broadband Expert as their freelance writer and adviser. In her free time she writes articles related to: internet, dish network packages, internet providers, technology mobile broadband, etc.